Crisential is a single player / co-op Role Playing Game, with sand-box capabilities and Real-Time Strategy influence in a desolate post-apocalyptic world. Players can explore the vast wastelands and choose from some major factions during the gameplay, which has their unique storyline and talent systems. Join with the wastelend survivors, build a house with the in-game building tools and eventually set-up a town to survive the harsh enviroment. Crisential has a dynamic NPC system where every single NPC has a story to tell and it is up to the player to determine their fate. New NPCs will born, live and die through the time spent in this wasteland. In addition to in game building, players can forge custom items and even brand new talents designed by the player, and test their skills in combat against their enemies. We would like to talk about our Kickstarter Campaign's progress so far. It's been 3 days since we started it, and actually everything goes as its planned. We have a little problem about reaching potential "Essence Masters" at the moment, but we are sure it will be ok in few days. About character progression, as i said before, our key feature in Crisential is freedom. Of course, that includes character progression subject too . We didn't want to make players " have to " choose certain ways ( or classes ) and for example cannot use X weapon because they selected Y for their character progress. So we thought something like, if you want to do it, well, go for it. If you want to equip a giant sword, you can basicly do it, but like real life, if you dont have an idea how to use it, then you cannot use it properly. But don't understand that wrong, if you countinue to use it, you will learn proper ways of that spesific weapon. Class? Doesn't matter. Stats? No. Do you want it? Yes the important part of our system is this question. You can do basicly EVERYTHING. There are some " kind of classes " under the factions' rankings. So if you choose a faction and become a Gunslinger, you will learn how to basics of that spesific way of ranking, but that doesn't change the Freedom Rule. You can still go for anything you want, it's just changing your already learnt skills in that way. Thanks for your support guys, don't forget to look at our Kickstarter campaign and help us make Crisential the number one REAL OPEN-WORLD. SANDBOX game ever. Big week, big news, big steps. 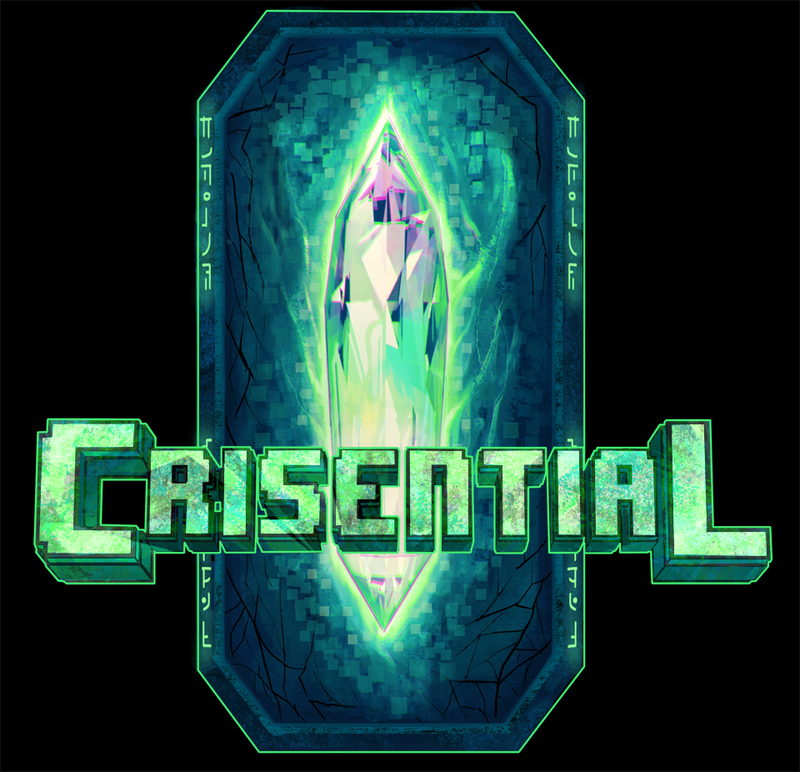 After Kickstarter, Crisential is on Greenlight too! Our Kickstarter campaign is up and running! Don't be late, come and join the fun! Let's talk about the trailer, development updates and Kickstarter. Weapon Crafting Prototype is ready! I'm going to go out on a limb, and assume that you guys will start a kickstarter campaign sometime in the somewhat near future. Will you guys have an option for donating for the same perks without using a creditcard (as kickstarter is not paypal friendly). The game looks like it has potential, even if it seems as if you guys have a lot on your plates to make it into a polished rpg/survival game! You would be right! This is a pretty big project as you can see and we are going to need to hire more developers to get the game on it's feet as soon as possible. We will of course give the same perks to supporters who choose other types of payments. In addition to Paypal, we will accept Bitcoin, Litecoin and Dogecoin. I really don't want to speculate on the minimum requirements at the moment since we still have some ways to go, but can roughly estimate that if your PC can handle Skyrim on medium to high settings, it can handle Crisential. And Gpu 128 mp pixel shader 2? 1. Is the game block based like minecraft or is this just the art style - people will make the assumption that it is a mine craft style game with destruction. A couple of years back me and a friend set up a minecraft server we made a giant hollow cuboid and made some double and single story houses inside the hollow all in rows, inside the houses we put bits and pieces like crafting tables and beds etc. We then waited for tonnes of mobs to spawn, then ran out of a spawn house in open ground and basically had to survive by barricading ourselves in houses and building sky bridges between them by scavenging from other houses, quite fun with 4-5 people. Its worth trying once just to give you more ideas. That is a great idea! We already have something similar planned for what you are suggesting, nothing is final yet though, so suggestions like these are always welcome. To answer your questions, the game is not block based like in minecraft and it's just the art style that we chose to go with. It's easier for the players and us to mod the game and it has a different feel to it that we like. So the mass instantiation is not a problem that we (hopefully) won't have to face in the near future. There are sandboxing elements in the game, as in, it is possible to settle towns, create new weapons and even create new skills (more on this later!) but these are a supplement to the main RPG gameplay we have in mind for the game. You say "It's easier for the players and us to mod the game" Does this mean the game will have mod support? Or by mod do you mean create new levels or change in game stats through xml files? Is there some way to build in fully fledged modding into unity? we will have modding support, we are working on a separate map editor application, where you can edit an existing part(s) of the world, or extend the existing world. Quests, NPCs, Items, and new talents can be designed with this tool as well as designing the map. While it is (technically) possible to edit a file by hand and make the mod that way, it will be much easier to just use the map editor. I will make a detailed post about this later on.